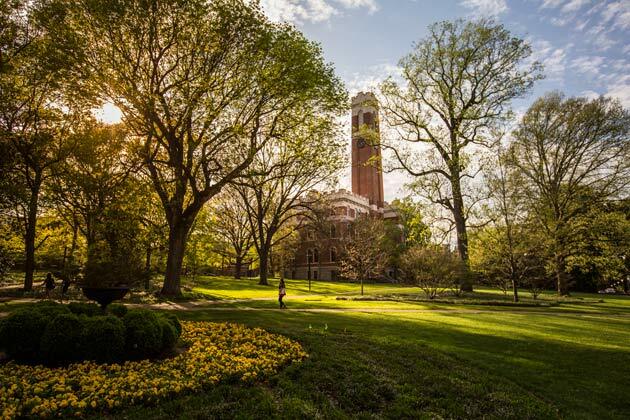 Among the many academic resources at Vanderbilt are research and policy centers that provide a means to address critical issues while leveraging faculty strengths across traditional departments. These interdisciplinary centers give rise to new courses, encourage new research, bring new programming to campus, and strengthen Vanderbilt’s intellectual community. Since the world's most pressing problems are not uniquely, for example, “historical,” “political,” or “biological” in nature, why should our search for solutions be confined within the traditional academic departments that bear these names? The College of Arts and Science addresseses critical issues, and at the same time, leverages faculty and student strengths that span many departments and schools, through the creation of interdisciplinary centers. These centers provide resources and a point of focus for faculty with common interests, give rise to new courses, bring new programming to campus, encourage new research, and strengthen Vanderbilt's intellectual community. The CICN supports the quest to comprehend how the brain produces thought and emotion. The purpose of this endeavor is not only to develop more effective treatments for mental and neurological disorders, but also to further our understanding of what it is to be human. CICN researchers focus on three areas: sensory science; development, learning and memory; and clinical neuroscience. The Center for Innovative Technology offers collaborators an extensive lineup of state-of-the-art mass spectrometry instrumentation to enable numerous types of metabolomic analyses. We support investigators in numerous phases of the analytical pipeline and provide a number of routine and/or advanced services depending on the goals of your individual research projects. The CIT can measure the complex array of small molecule metabolites present within a fluid, cell, or tissue and can identify reproducible steady state and/or temporal changes associated with disease state or drug administration for context dependent analysis. Afterward, metabolite identifications are assigned based on high mass accuracy measurements, isotope distributions, tandem MS fragmentation patterns, and comparisons with spectral libraries and standards. Consequently, the results can reveal unique biochemical fingerprints of cellular processes specific to each sample. This can be exploited as a discovery-based approach for generating novel hypotheses or used for a better understanding of physiological processes mediated by genetic or environmental perturbations. If needed, new workflows can be established for method development, targeted biomolecule measurement acquisition, and/or metabolite validation. Estabilished in 1947, the CLAS has since worked to advance knowledge about and understanding of Latin America and Iberia. The Center administers the Latin American Studies undergraduate and Master's programs, as well as a joint Master of Arts and Master of Business program with the Owen Graduate School of Management. CLAS also brings speakers, visiting scholars, and conferences to campus and arranges for Vanderbilt professors to visit local classrooms. Established in Spring 2003, the CMHS has more than three hundred affiliates from all nine schools and colleges of the University who share an interest in studying health and health care in their social and cultural contexts. It offers an undergraduate major and minor and sponsors seminars, workshops, lectures, and conferences. Any interested faculty member or student may affiliate with the Center. The Center for the Study of Democratic Institutions is a research program of Vanderbilt University. The center was created in 2009 to support systematic theoretical and empirical research on questions central to the survival and flourishing of democratic institutions in the United States and abroad. The center is home to scholars working on such important topics as: campaigns and elections, legislatures, chief executives, courts, public opinion, government performance, and international institutions. The Center also supports the production of research and public commentary on the connection between democratic values and actual practice. Established in 2003, the Curb Center is the first university-based policy program to fully engage the American cultural policy system. 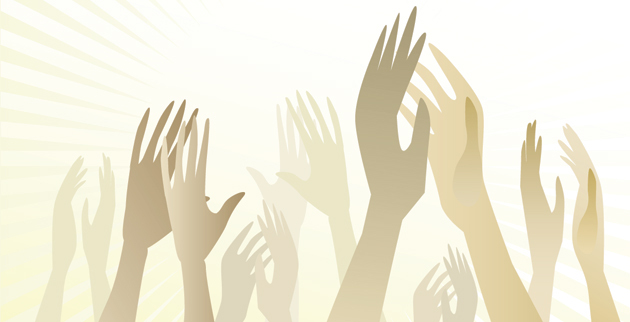 Drawing upon the unique resources of a great university, the Curb Center will supports research and programmiong that address the five primary sources of cultural policy in the United States. These include: the decisions of individual actors in the arts industries; corporate practice; trade agreements and regulatory agencies; the passions and objectives of private arts patrons and NGOs; and intellectual property law. The Latin American Public Opinion Project (LAPOP) came to Vanderbilt with its director, Mitchell Seligson, after 18 years at the University of Pittsburgh, where he held an endowed chair and founded LAPOP. Seligson, who joined the faculty in 2004, is Centennial Professor of Political Science and Professor of Sociology. Since the 1970s, Seligson, his colleagues and students have systematically surveyed the citizens of Latin America on their political views—specifically on democratic values and their behaviors related to democracy. These surveys and the studies that have emerged from them have sought to determine the extent to which women may be excluded from political participation, the effect of education on tolerance for the rights of minorities, and the effects of government corruption on citizens. The project has regularly published in-depth analyses of the data collected in Spanish-language monographs in countries throughout Latin America. These are all available for free downloading on the LAPOP web site. The research group consists of faculty members, postdocs, visitors and graduate students with scientific interests in noncommutative geometry, the theory of subfactors, von Neumann algebras, K-theory of operator algebras, operator theory, coarse geometry, index theory, analysis on manifolds, controlled topology, stratified spaces, harmonic analysis, quantum computing and quantum information theory. The group organizes a yearly school and international conference on noncommutative geometry and operator algebras. Each year a particular topic will be emphasized and the school will feature several mini-courses by leading experts. The Warren Center began its programs in 1988 under the auspices of the College of Arts and Science, and with the help of many generous supporters. Since then, the Warren Center has served as a place where faculty and students from the humanities, social sciences and, when appropriate, the natural sciences gather to share ideas and teach one another. The Warren Center also engages in outreach to the community by sponsoring teacher training, lectures and seminars, and publications designed to promote the importance of the humanities in today's world. The institute runs research and education programs in the application of chemical technologies to important biological problems. Specifically, the Center's researchers design and develop new chamical agents to assist in the detection and treatment of disease. The Center trains graduate students, recruits new faculty members with needed expertise, and runs a seminar program. VIIBRE unites physical scientists and engineers from across campus who have interest in working at the interface between the physical sciences and engineering and the biological sciences. VIIBRE researchers focus primarily on research in cellular instrumentation adn control, technology-guided therapy, biological applications of nanosystems and cellular/tissue bioengineering and biotechnology. VINSE finds applications for structures that range from one millionth to one billionth of a meter in size, and area widely accepted to be the next great scientific frontier. 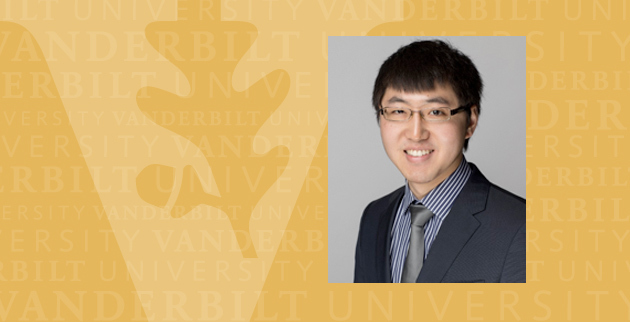 VINSE works to acquire the equipment needed to conduct nanoscale research, trains graduate students, and provides a point of focus for chemists, physicists, and engineers at Vanderbilt with research interests in nanoscience. The Vanderbilt Institute for Research on Men's Health (IRMH) was established in 2012 to be a state, national and global leader in interdisciplinary approaches to understanding and improving men's health and eliminating men's health disparities. The IRMH is located within the Vanderbilt University Center for Medicine, Health and Society and works with a broad range of individuals and organizations interested in men's health including community leaders, local and national organizations and other academic institutions. The IRMH has three goals: (1) Explain men's health behaviors and health outcomes in a way that accounts for both individual ability to make health choices and the social structures that shape health behaviors and health outcomes; (2) foster social science, humanities, medical and public health research that highlights the importance of historical, cultural and social factors that affect men's health behaviors and health outcomes; and (3) build the capacity of researchers, institutions and communities to create practical and sustainable strategies for improving men's health.